Castello Camemi stands over the hills of Val di Noto, in the small town of Vizzini. As all historical accommodation, the Castle is surrounded by breathtaking landscape, immersed in an extraordinary cultural heritage and characterized by an ancient elegance and atmosphere. Caltagirone, Mineo and Pelagonia are nearby and easily accessible, therefore it is possible to enjoy their historical and cultural richness. Val di Noto area is a unique setting recognized as a world heritage site by UNESCO. Built in the XV century, it was a fortress castle, served as the Ventimiglia’s dinasty residence. Carefully restored, Castello Camemi is a charm Hotel which respects the original essence of the structure: several original element and antique furniture are still intact. The ancient residence has a square plant with a central court characterized by a big carob tree. 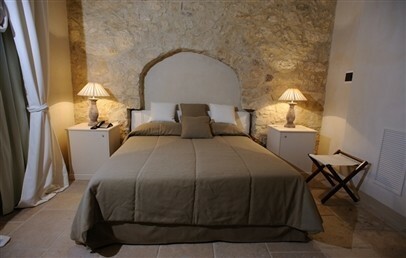 Castello Camemi consists of 14 rooms, elegantly furnished with antique and stylish furniture and characterized by stone exposed and wooden beams. Each type is designed to preserve the original spaces of the castle and are located between the noble floor and the central court. 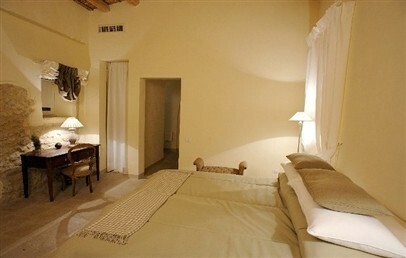 All accommodations differ in size and are furnished in the same style, cosy and equipped with many comforts. 4 Standard rooms, 13-23 sq.m., are located on the ground floor, two of them at the inside of the building and two facing the central court. 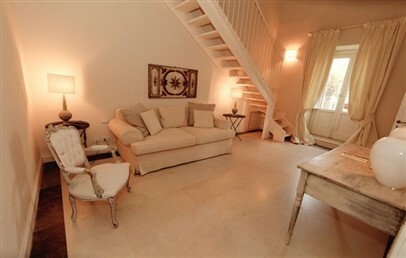 3 Junior Suites, 23-39 sq.m., are located around the wonderful central court. They present a Jacuzzi bathtub and may host a 3rd person. 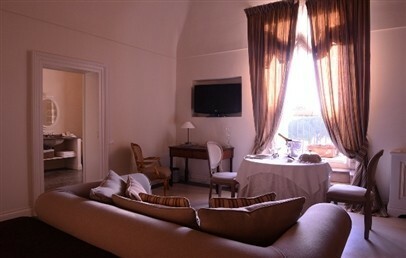 3 Superior Suites, 34-37 sq.m., are located around the wonderful central court. They consist of two different connecting rooms and are equipped with a sofa bed. Only one has a fireplace. 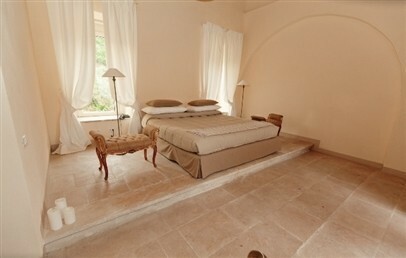 3 Imperial Suites, 36-46 sq.m., are situated on the upper “noble” floor with hill view. The Camemi’s Restaurant is located in the old barn. Transformed into an elegant and refined place, the particular atmosphere rises from the dry stone walls and a floor covered by pitchstone of the XVII century. The cuisine of the Chef is typically Mediterranean, with dishes of the most ancient Sicilian tradition, rigorously prepared with organic and local products and accompanied by the best Sicilian wines. Table and à la carte service for breakfast, lunch and dinner. In summer guests may enjoy the outdoor swimming pool nestled in the garden. The elegant rooms of the Castle and the equipped outdoor spaces surrounded bythe greenery, are ideal to celebrate anniversaries and organize parties. The staff is at guest’s disposal for any suggestion about wonderful excursions in Agrigento, Caltagirone, Catania, Noto, Piazza Armerina, Ragusa, Siracusa and Taormina. Double rooms located around the wonderful central court, two are located in the inside of the builiding and two towards the court yard. 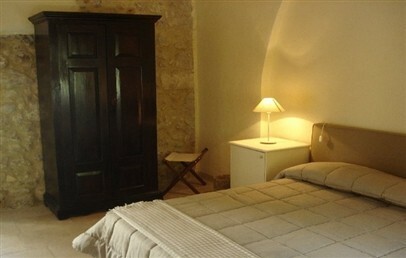 They are elegantly furnished with antique and stylish furniture and characterized by stone exposed and wooden beams. One Standard rooms is equipped for disabled people. The bathroom has a shower, hair dryer and complimentary toiletries. 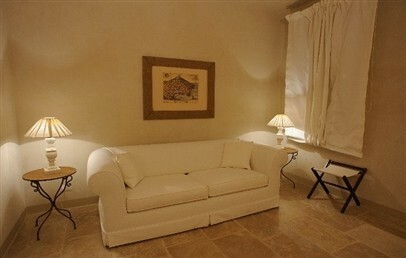 Spacious Suites located around the wonderful central court. 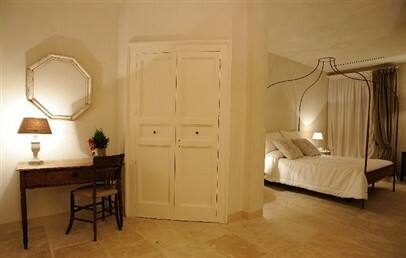 They consist of two different connecting rooms furnished with antique and stylish furniture and characterized by stone exposed and wooden beams. 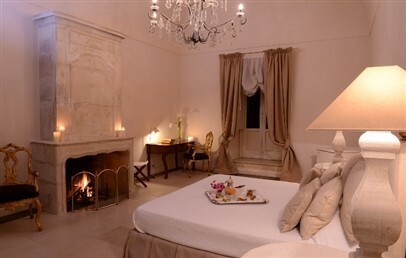 The Superior Suites are equipped with a sofa bed, only one has a fireplace. The bathroom has a shower (only one has a bathtub), hair dryer and complimentary toiletries. All rooms have a court view. 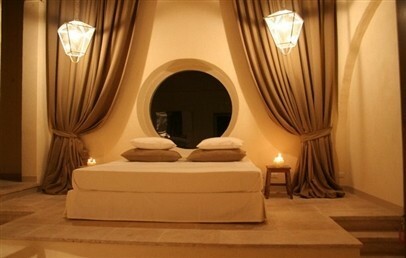 Elegant Suites (3rd bed on request) located around the wonderful central court. 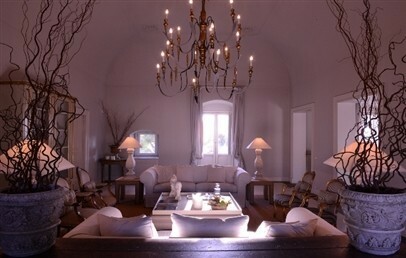 Refined furnished with antique and stylish furniture and characterized by stone exposed and wooden beams. One Junior Suite rooms presents a loft with a sofa bed. The bathroom is very particular and is equipped with Jacuzzi bathtub, hair dryer and complimentary toiletries. All rooms have a court view. 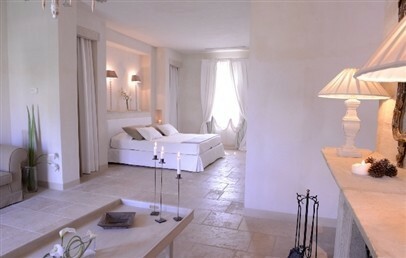 Refined Suites situated on the upper “noble” floor located (3rd bed on request). 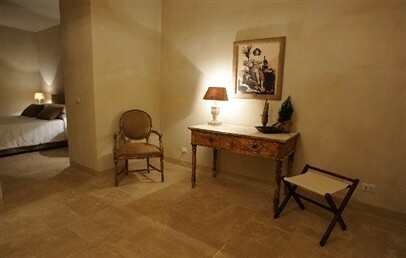 Furnished with antique and stylish furniture and characterized by stone exposed and wooden beams. 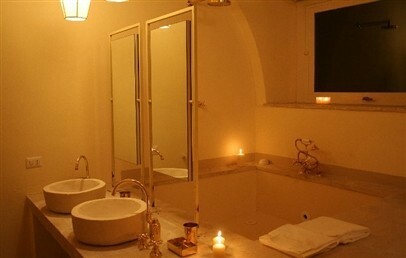 One of the 3 Imperial Suites is characterized by a loft and bathroom equipped for disabled people. The other bathrooms has a Jacuzzi bathtub, hair dryer and complimentary toiletries. All rooms are with hill view. Special 15% reduction for stays from April 11th to May 31st! The rate is a non-refundable one and the total amount of the stay is to be paid upon confirmation.